Here are the colors of midwinter. Some would say the non-colors. At this time of year, subtle tones of gray and brown make it easier to notice lines, textures, repeating designs. A modern gate contrasts with an old home. 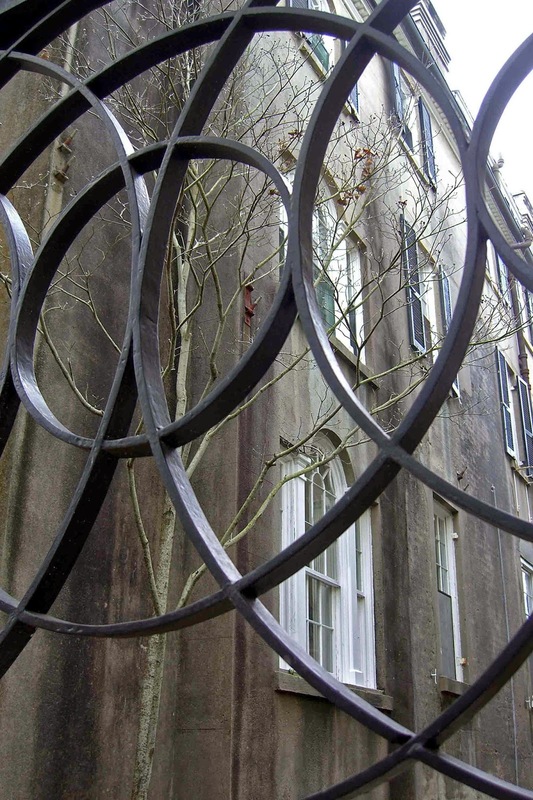 The disciplined circles of wrought iron acknowledge the gentle ripples over the windows, old and new working together.